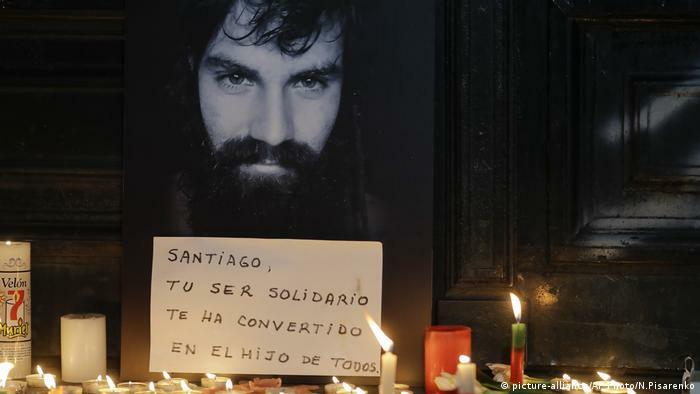 The killing of the indigenous liberation solidarity activist Santiago Maldonado comes at an extremely inopportune time for Argentine President Mauricio Macri. Maldonado had been missing for over two months when his body was found last week. And many Argentines believe that the activist was disappeared by the military. In Argentina, the term "desaparecido" conjures up memories of the people who were abducted and killed by regime henchmen during the military dictatorship from 1976 to 1983. The fate of many of the people who were disappeared remains unresolved. Fifty-five coroners are examining Maldonado's corpse under the close scrutiny of about 30 observers and journalists. The death is potentially so politically damaging that not even a sliver of doubt about the results of the autopsy can be allowed. Many Argentines are upset that Macri rejected the UN's offer of additional forensics experts to assist with the autopsy. Maldonado's family also lashed out at Macri when the president called the victim's mother to express his condolences. The activist's brother called the sympathy expressed by Macri "hypocritical" and the president's entourage "shameless." What angered him most was that the telephone call came shortly before Argentines were set to go to the polls to elect candidates to a third of the seats in both chambers of the legislature. The image that Macri has attempted to build as a vigorous reformer has taken a serious hit with the discovery of Maldonado's body — and just as the president had hoped to increase the number of seats held by his right-wing Cambiemos party (Let's Change) on Sunday. When he was narrowly elected in a runoff two years ago, Argentines expected Macri to reimpose ethics in national politics and put an end to corruption and politicians' evading of accountability for their offenses. Macri's immediate predecessor, Cristina Fernandez de Kirchner, saw a number of scandals during her time in office from 2007 to 2015. She now has immunity from prosecution, and preliminary polls more or less guaranteed her a place in the Senate after Sunday's vote. The president, too, has faced allegations of impropriety. When the Panama Papers were published last year, they revealed that Macri had remained active in finance during his time as mayor of Buenos Aires from 2007 to 2015. The documents showed that Macri, the son of one of Argentina's richest businessmen and himself a financial analyst, had acted as the director of two private companies — a fact that he had chose not to mention when he took office. As president and staunch free-marketeer, Macri has continued to focus on finance. In less than two years in office, he has freed up the exchange rate of the peso and gradually relaxed trade restrictions. Inflation is one of the financial factors that has so far proved beyond Macri's control. This year, it could reach over 25 percent. It is predicted to be about 18 percent next year. Incomes have lost their real value. 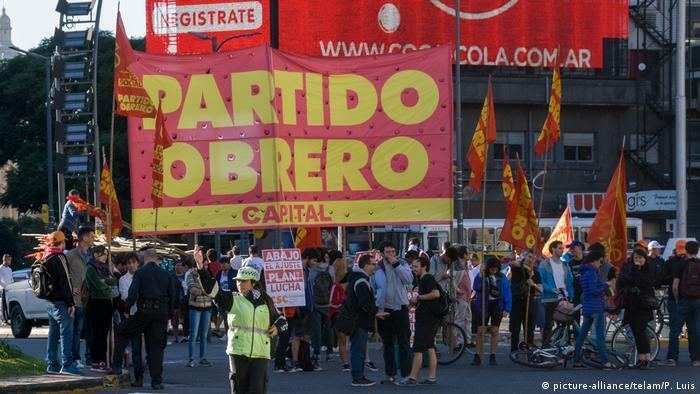 Macri has thus raised the ire of many less-wealthy Argentine, as well as labor unions. He has promised an economic boom that will cause incomes to rise. But, according to surveys, Argentines feel that Macri is capable of getting a grip on rising prices in the long term: Cambiemos is expected to emerge from the current elections as the most powerful force in parliament.